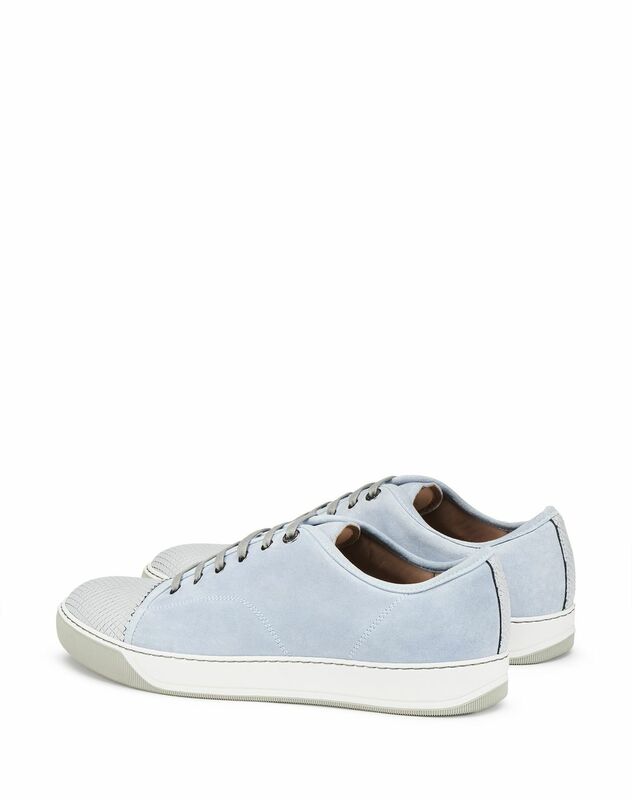 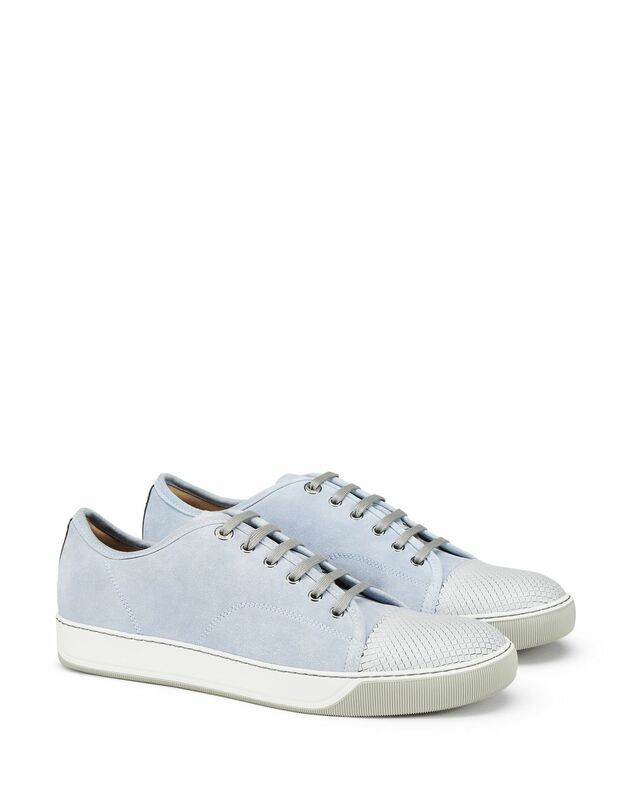 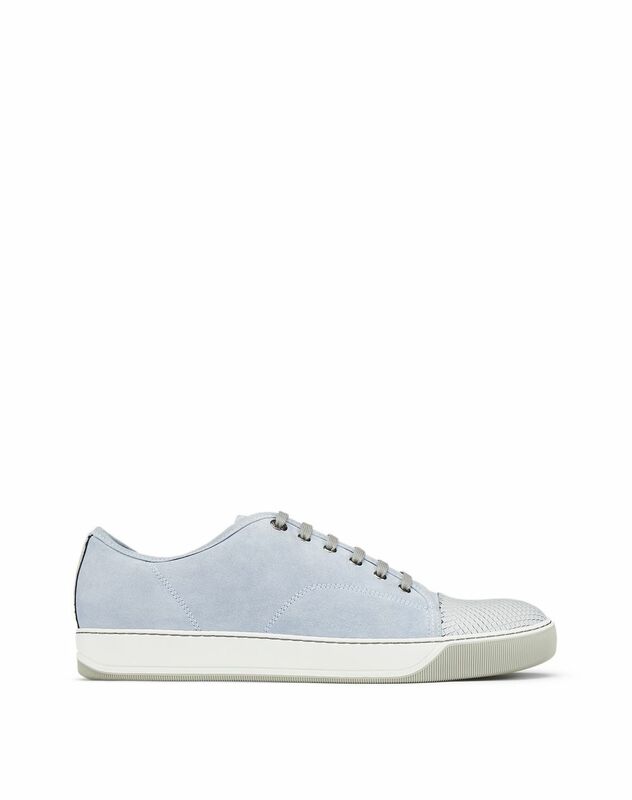 Gray low-top sneaker in calfskin leather, contrasting checkered-effect cap toe, beige 100% calfskin leather lining, and exclusive two-toned rubber sole. 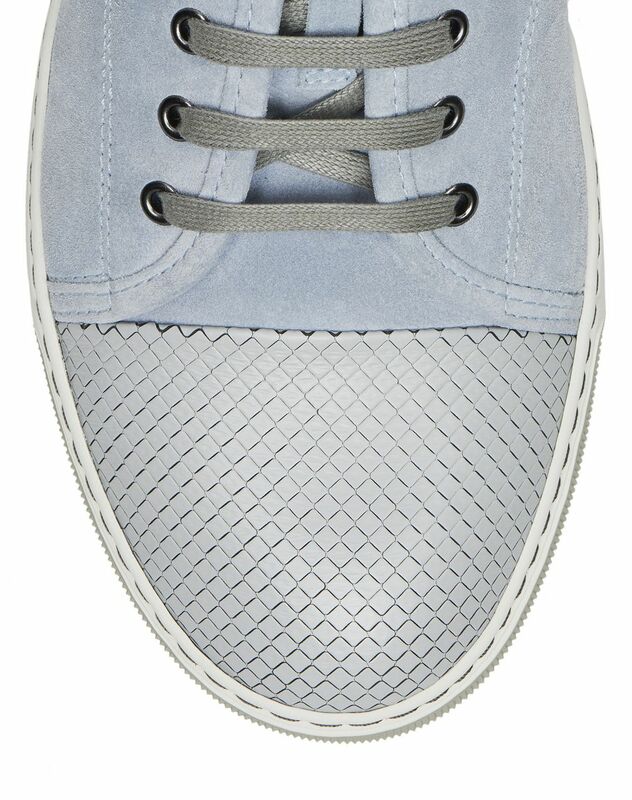 An iconic Lanvin model, the DBB1 sneaker is available this season in new colors. 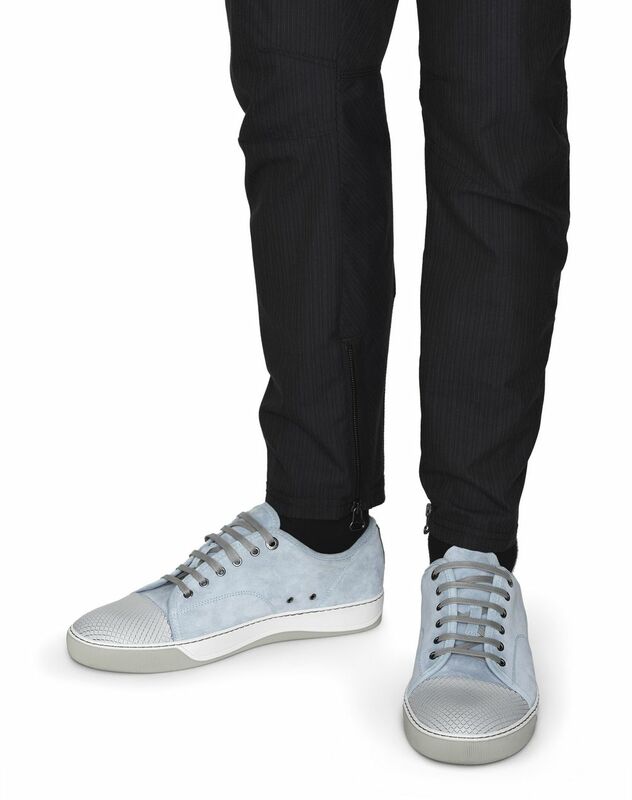 The checkered-effect cap toe brings modernity and uniqueness to this timeless model.